Insect follows Scarabaeidae family, and Coleoptera order. Size is between 7-9 mm, and has reddish brown colour. 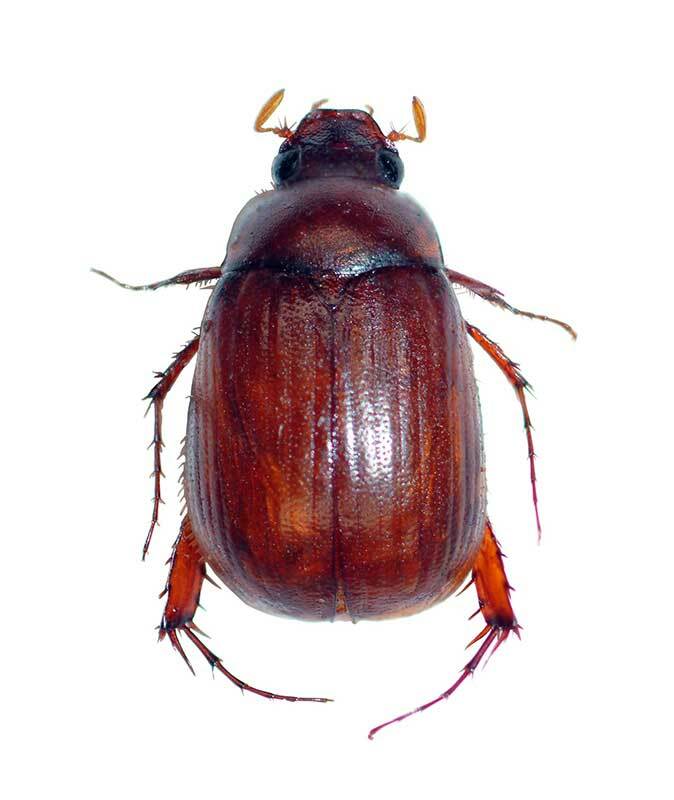 Adult females are active in spring and summer, and though nocturnal beetles, they are attracted to light. Adult females feed on leaves, buds, and flowers of several plants, but larvas feed on plant roots.